Developer Howard Cook points out details on the giant renders during the Trident / Lumen open house on Tuesday. The project will feature open floor plan offices, retail, and restaurants. The developers intend to find two large tenants to occupy the office spaces in the building. 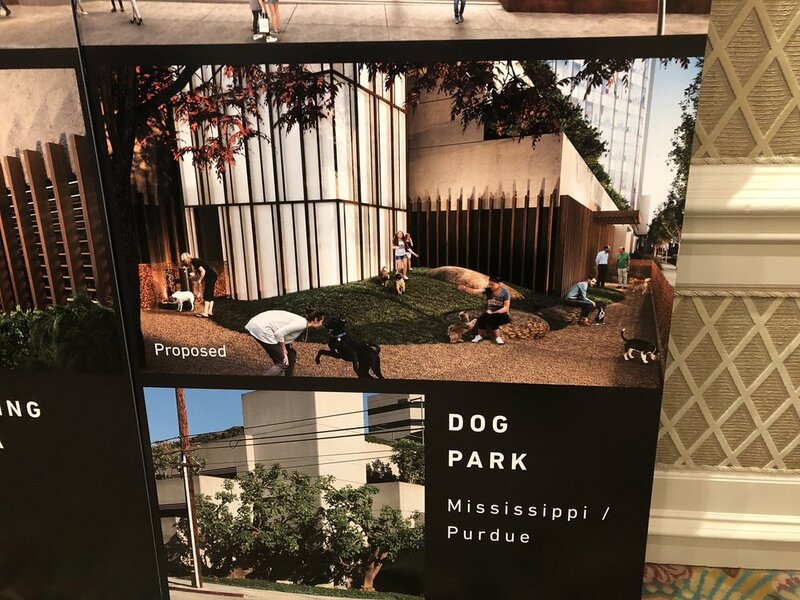 A dog park is a popular concept on the North West corner. This photos shows the projected new ideas along with the existing areas.